Even if companies like Supercell and Machine Zone had been making fortunes with the likes of Clash of Clans and Game of War: Fire Age, many could not understand why a major player like Nintendo had shunned the smartphone video game market for years. 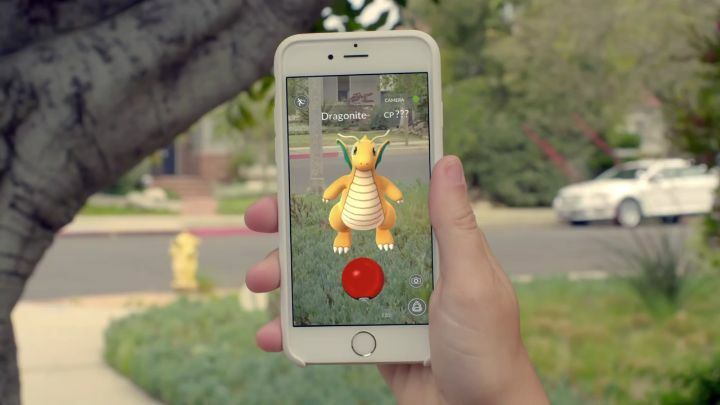 But despite focusing on its Wii consoles and 3DS handhelds to date, it is likely Nintendo will pour more resources into its new smartphone gaming business, as the recently released Pokémon Go video game has become a smash hit in little more than a week. The Pokémon franchise has always been a success, and the little creatures known as Pokémon have always been appealing (especially to younger folk), but Pokémon Go’s success is truly unprecedented, as it’s already the most popular game for mobile devices in the United States according to GameSpot. But even though millions are clearly finding this smartphone game a joy to play, even if it can be argued that there is a dark side to this latest game by developer Niantic Labs, who were also behind the very similar augmented reality mobile game Ingress. Actually, the truth is that Nintendo is not directly behind the game, but it was made by the aforementioned Niantic Labs, which is a Google spinoff company. Another party behind the game is The Pokémon Company, which Nintendo has partial ownership of, meaning the Japanese company will likely profit handsomely from this latest Pokémon craze. Because not only has the game made over $10 million US dollars to date, but the effect on Nintendo’s shares in the Tokyo stock market has been stunning to say the least, as the Japanese company’s stock rose more than 80 percent, adding more than 17 billion US dollars to its stock market cap since the game’s launch on July 6, according to news website Reuters. Also Nintendo broke a stock market record as reported on Polygon, becoming the most traded Japanese stock in a single day in the 21st century, beating the likes of Nippon Steel. This is all taking into account that the game hasn’t rolled out in all the 35 countries in which developer Niantic is planning to launch the game, and disappointingly did not ship in Japan (the home of Pokémon) as soon as expected mainly due to fear of there being server issues due to the game’s massive popularity, according to Reuters. In the end though, Pokémon Go’s success is certainly an unprecedented thing (and surely a big surprise for Nintendo), and hopefully gamers the world over will keep having a great time with this latest Pokémon game and sharing these experiences online with others, even if it’s clear that the new Pokémon craze has only just begun. COPYRIGHT: Nintendo / Pokémon / Niantic.